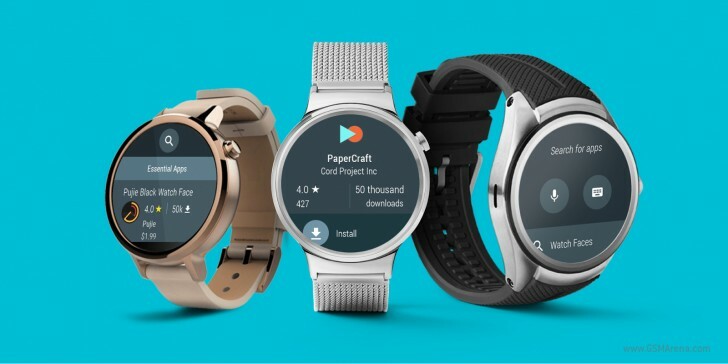 Today Google has released the third developer preview of the upcoming Android Wear 2.0 operating system. This comes more than two months after the second preview went out. The new software meant for developers to test brings with it a huge new feature - the Google Play Store, on your wrist. From this point on, you no longer have to use your phone to put apps on your watch. The Play Store for Android Wear lets you easily find and install apps straight on your wearable. According to Google, this will help developers of Android Wear apps reach more people. The Play Store for Android wear starts up with a home view filled with recommended apps, and you can search for others using voice, keyboard, handwriting, and recommended queries. This makes finding an app as easy as possible on such a small device. You can switch between multiple Google accounts, as well as take part in alpha and beta tests, just like you can on Android itself. There's even a My Apps view in the Play Store on your watch, where you can manage what's installed. This release finally decouples watch apps from phone apps, so if you want a specific app on your wearable but not on your handset, that's now possible to have. And, obviously, developers can start making watch-only apps from now on. Complications improvements have been baked into the third developer preview of Android Wear 2.0 too, and inline actions are possible for notifications. Finally, smart replies are going to be available for messaging style notifications. The bad news is that Google is not sticking to the initially announced "fall 2016" release time frame for the final version of Android Wear 2.0. This has now been pushed to "early 2017", and a fourth developer preview is going to arrive before that. Given the huge changes coming to the wearable OS, it's probably best if the final release isn't plagued by any showstopping bugs; on the other hand, delays of any kind naturally aren't nice, and Wear 2.0 has already been in development for at least five months. if they delay it, i sure hope they will upgrade the hardware in it too. so it matches next years technology. and not just be an outdated smart watch. That's true, I totally get your point. It's a plus point if you're a businessman or something I guess. I should've bought one after I grow up, it's not useful for me yet I guess. That's true, I also bought one for this reason. But I feel it makes me very lazy than I already am lol.